This page details my live design of Languard, capital city of the Duchy of Ashlar and closest settlement of note to Gloamhold’s doom-drenched, benighted halls. Over the coming weeks and months I’ll be adding more content here as the project gets closer to actual publication. I view “pre-design” as the foundation of a location (in this case a whole city). Getting an idea for its layout, people and history (thank you Gordon McInnes for reminding me of this) are vital steps in creating a living, breathing and above all believable place for the PCs to visit. We are all in the business of suspension of disbelief, after all, and anything we can do to make this easier for the players (and GM) is a Good Thing. 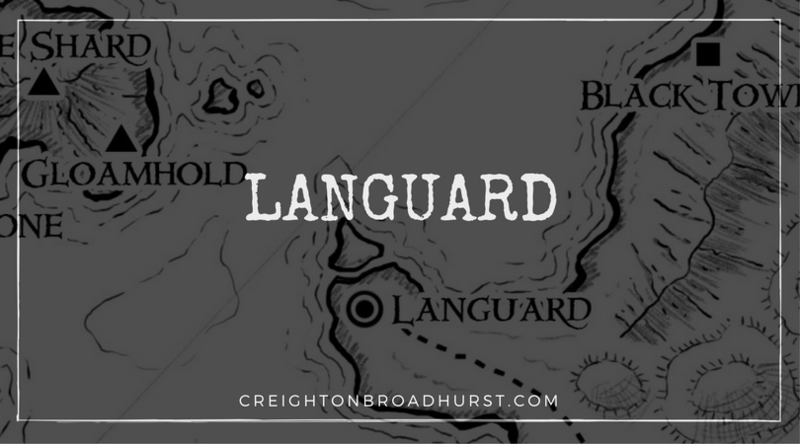 I hope you’ve enjoyed your look at Languard. If you’d like to support my design efforts–and I hope you will–please sign up to Raging Swan’s Patreon campaign. In return for your support, you’ll get cool Raging Swan goodness designed to make preparing and running your campaign easier and quicker.